Alicia Keys is hosting the 2019 Grammys. Why? I don’t know, you tell me! 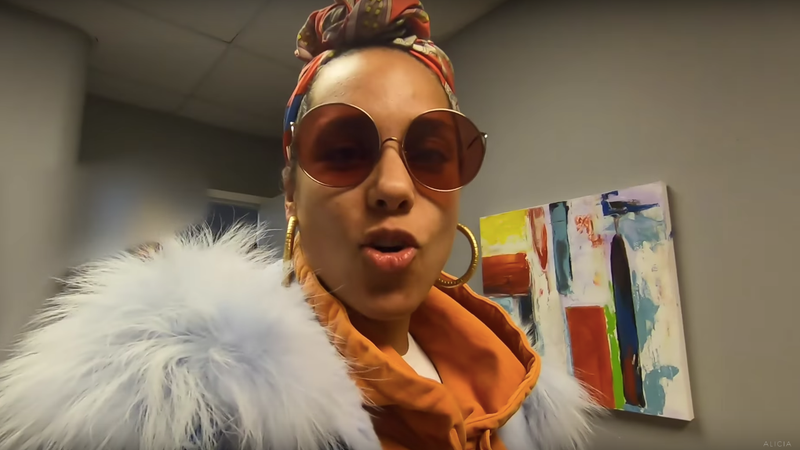 She made the announcement on Tuesday, in a vlog-style YouTube video, where she tells her mom, her kids, her husband Swizz Beatz, and basically everyone in her life that she’s hosting the Grammys, to which almost all of them say, “Whaaaaaaaat?” To which I say, same! Well that’s, uh, beautiful, but also makes me want to nap. I think we’re going to get a blow-out, hippie dippy Alicia Keys Grammys ceremony, by which I mean it’ll probably be boring. Will she recite the entire ceremony in poem? Will anyone in the audience wear makeup? Part of me thinks that Keys’s appointment is a deliberate strategy to rebrand the Grammys as a stage that supports women, especially after former Recording Academy president Neil Portnow made some sexist comments last year about how if women want to win, they need to “step up” at the Grammys. Since then, the Academy has done a major overhaul, bringing in a diverse nominee list and a diversity task force. I can think of only one solution to inject some fun into Keys’s hosting duties, which is to have Lil Mama crash, as she did during Keys’s and Jay-Z’s performance at the 2009 VMAs. Actually, can Lil Mama just host the whole thing?